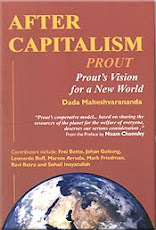 Prout - Alternative economic model for Capitalism and Communism: Occupy Prout movement! Short cuts of Sarkar´s texts: I cannot support the attitude of those who denounce capitalism at every opportunity, because this allows capitalists to become alert and invent more scientific and devious ways to exploit the people. Those who lack a constructive ideology will never be capable of destroying capitalism… We are to fight capitalism and not the capitalists. Our approach should be to adopt a constructive ideal, and we should wage a ceaseless and pactless struggle against all anti-human and antisocial factors. The capitalists are suffering from a sort of mental ailment, and it is our foremost duty to radically cure them by diverting their physical thirst towards psychic and spiritual pursuits. While trying to fight against any sort of exploitation, first we must have a clear understanding of the nature of the exploitation. Capitalist exploitation is perpetuated in three spheres – the physical sphere, which we are well aware of, and the intellectual and spiritual spheres. Each of these types of capitalist exploitation is equally dangerous. To solve the problem of capitalist exploitation in the physical sphere, we will have to ensure that the movement of money does not become restricted or immobile in the hands of a few capitalists. The present economic system should be thoroughly transformed, and a comprehensive and completely new economic system should be built in its place. Intellectual Capitalism: In different periods there has been different forms of capitalist exploitation. In the psychic sphere there is a noticeable lack of motivation and effort on the part of intelligent and educated people at present to properly utilize their acquired knowledge for the collective welfare. They will have to assist the common people in their development and extend their support to all anti-exploitation movements. Spiritual Capitalism: Capitalism also exists in the spiritual realm. Because of their selfishness, they keep spiritual knowledge to themselves. Genuine spiritual practice is the birthright of all people. Today there is an urgent need for an all-round spiritual revolution in individual and collective life under the leadership of a group of accomplished and idealistic leaders. Why Prout: It is based on spirituality and we are entering spiritual age. Is our mission the only way for progressive life and society? No, certainly not, there are well developed spiritual beings in different groups and without, there are progressive thinkers, those established in activism, fighting, those having honest money sources etc. We in our mission are not enough alone to establish better world. All other spiritual minded and righteous people are needed in the mission towards better future of humanity. All moralists should unite. Together we can make it. Anyhow Sarkar created Prout theory and practise in 1959 (with practical solutions, holistic approach, comprehensive philosophy, experienced leadership and started the movement with training of dedicated, spiritually established and self disciplined people) as a model for the spiritual age, while nobody else thought about need for that. 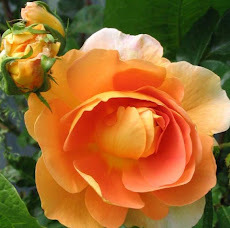 We see that each person needs certain mission or at least meditation method to get established herself/himself - alone is difficult to progress – but everyone has to find the mission which best fits for his or her present aspiration and needs. Thus there is no right mission or wrong mission. But honestly I feel that our spiritual practises are far better than any other methods I have seen and experienced. If you want to get fast forward and become one of the pioneers, come along to do meditation or join our activities! But be ready for tantric experiences and struggle as the more fast you advance the more fast sequence you have to pass obstacles. Anyhow the obstacles are never greater than your capacity to solve them.